Explore the Vaults of Madness and return Undaunted. 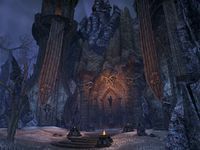 Maj al-Ragath of the Undaunted has challenged me to explore the Vaults of Madness, a dark labyrinth at the heart of Coldharbour. This page was last modified on 14 September 2017, at 17:27.